The Government today has unveiled consultation on tough new measures to ensure the UK is the safest place in the world to be online. In the first online safety regulations of their kind, social media companies and tech firms will be legally required to protect their users and face tough penalties if they do not comply. As part of the Online Harms White Paper, a joint proposal from the Department for Digital, Culture, Media and Sport and the Home Office, a new independent regulator will be introduced to ensure companies meet their responsibilities. “This White Paper is a welcome announcement for those of us working to keep the public safe from the unprecedented terrorist threat. “When we first launched our Counter Terrorism Internet Referral Unit (CTIRU) in 2010, it was the first in the world set up to tackle the proliferation of illegal terrorist and violent extremist content online. “Since then, it has successfully removed more than 310,000 pieces of extremist material, but that is a drop in the ocean when you consider just how much terrorist propaganda is still available online for those seeking to radicalise themselves and others. 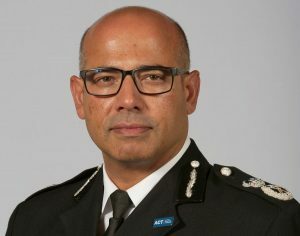 “Every single terrorist atrocity that took place in the UK during 2017 included some element of online radicalisation or attack-planning, and we have been arguing for years that internet companies must take greater responsibility for the threat posed by material they host on their platforms. “Although improvements have been made, that progress has been slow. I’m glad that these companies are now starting to recognise the importance of working with us to protect society, but I am also pleased that this responsibility will be properly regulated by this legislation and they will need to use their considerable expertise and resources to help prevent this obscene and harmful material being uploaded in the first place. Neil Basu recently published an open letter calling for discussion and debate on media reporting of terrorism and extremism.